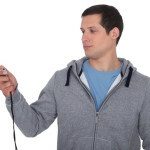 Protein is a necessary component in any exerciser’s diet. Eating a balanced diet with protein, carbs, and fat helps your body reach maximum health, and supplementing with extra protein will help improve muscle mass and lean body mass. So not only can you gain muscle by eating protein, but as your lean body mass improves, you can lose weight through the effort the lean muscle takes as it burns fat away. 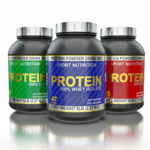 Protein shakes are the easiest and most popular way to supplement your diet with protein. Questions abound about protein shakes, and it all depends on you and your individual fitness goals to decide if protein shakes are for you. 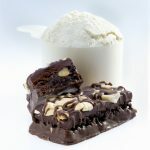 Here are some common questions and answers that will clear up any misconceptions about protein shakes and you. 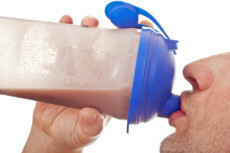 Are protein shakes safe? Despite some recent research released stating some of the most popular brands of protein shakes contain small traces of dangerous contaminants, protein shakes are safe. The contaminants in question are naturally occurring substances found in the environment, and the amounts are no different from those found in fruits and vegetables. You would have to consume a large amount of protein shakes to reach any potentially dangerous levels. What are your fitness goals? You have to decide what you’re trying to accomplish with your workouts. Chances are, you are trying to lose weight or pack on muscle (or some combination of both). Protein shakes can help with both, but keep in mind what a protein shake is: a large amount of protein with 80-100 calories. You need to ask your self how much protein you’re already eating throughout the day. If you are really trying to add muscle mass, you need to supplement. If you are trying to lose weight and keep your calorie intake low, protein shakes may not be for you, but the calories are generally low enough to not throw off a calorie-counting diet. Some people exercise a few times a week with no goal in mind. Don’t eat a protein shake just because they are popular. Most of them have enough protein and calories to replace a meal, so drinking them along with 3 meals a day may add weight if you aren’t active enough to need the extra protein supplementation. Can you eat too much protein? The body does a really good job of using the protein it needs and sending the rest to be secreted and absorbed by the body. Everyone’s body will react a little differently, but this is where it’s important to focus on your fitness goals. You could potentially do harm to your kidneys with too much protein, but you would need a massive amount on a daily basis. It all depends on how active you are in your life and workouts. A very high protein diet for a not-so-active individual would require about 90 grams a day. A very high protein diet for an extremely active person could reach as high as 225 grams a day. Generally an active person should consume between 0.5 and 0.8 grams of protein per pound of body weight. 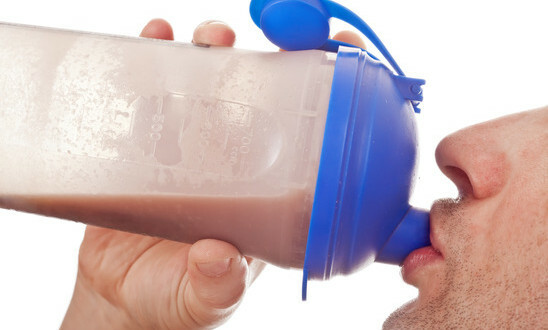 When should you take protein shakes? Some trainers will tell you protein should be consumed 20 minutes after a workout, but the time slot for drinking a shake is more like 1-2 hours. The sooner the better, but sometimes it’s not always possible to gulp a shake that quickly after working out. Plan accordingly and try to consume the protein within a couple of hours (at least), but within one hour would be best for maximum effectiveness.